Have anything you need to keep bottled up? 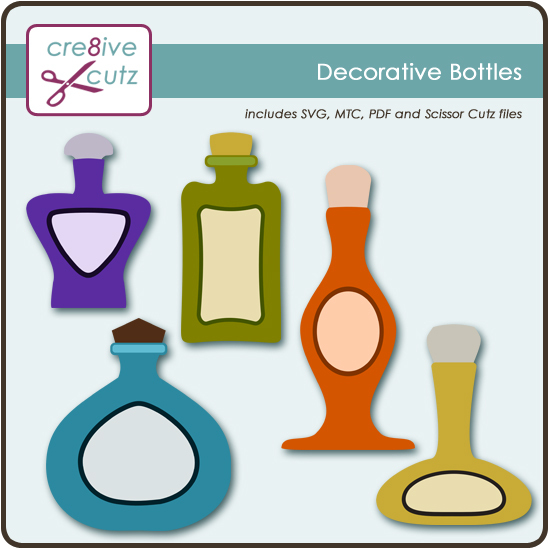 Dress up your scrapbook pages and cards with this set of 5 Decorative Bottles; use them as potion bottles on Halloween projects, perfume bottles on your girly projects, or any other type of decorative bottle. Each one includes the bottle, cork, label and label shadow. The corks are separate from the bottles, so they can be included or not, depending on what you need. 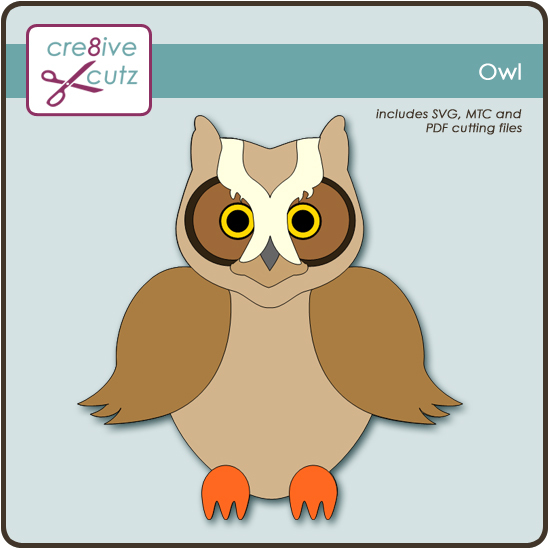 The download includes SVG, MTC and PDF files. The file cuts well on any size mat. 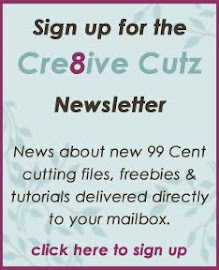 Click here or on the preview image below to purchase the set in the 99 Cent Store. I admit it, sometimes it doesn't take much to make me happy. Especially when I make a great crafting find in an unexpected place. That happened to me this week in the stationary store, but before I tell you what I found, a little background. If you visit this blog regularly, you already know that I love designing purses and boxes that you can open and close to hide treasures inside. Typically I use velcro dots to hold them closed, but I've found that I usually need to cut the dot to make it small enough to suit my liking (gumming up my scissors in the process), and in many cases it takes a bit of effort to rip the two velcro bits apart once they're attached to the project. Sometimes I end up bending the paper, which does not make me happy. So I've been looking for a good alternative, and found some magnetic dots at my local Michael's (roughly $6 for a package of about 20 dots) a couple weeks ago. They're pretty good, but again they're too big for most of my projects, and they're thick and not easy to cut. It's a roll of several feet of magnetic tape, I didn't even know such a thing existed! It cost about $6 for the roll, same as the aforementioned magnetic dots, and after careful calculation I figure it should last me roughly forever, with the amount I need to use on each project. The beauty of this stuff is it's thin, so it's easy to cut into any size I need (the little black rectangle in the picture is a little piece I cut off the roll). It doesn't gum up my scissors when I cut it, and the magnetic pull is strong enough to hold paper together but yet snaps apart very easily too! You can definitely to see this stuff in my assembly instructions from now on! The download includes SVG, MTC and PDF files as well as assembly instructions. 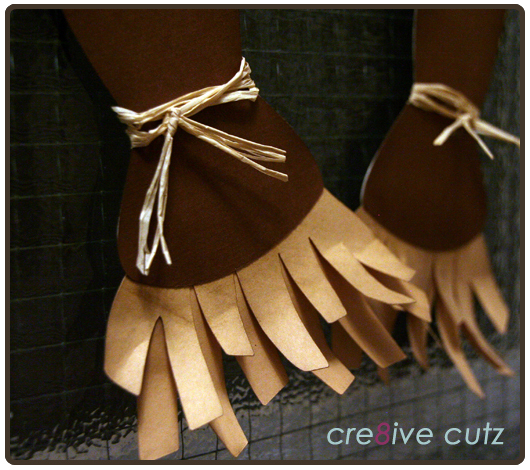 The file cuts well on any size mat, depending on your desired finished size. 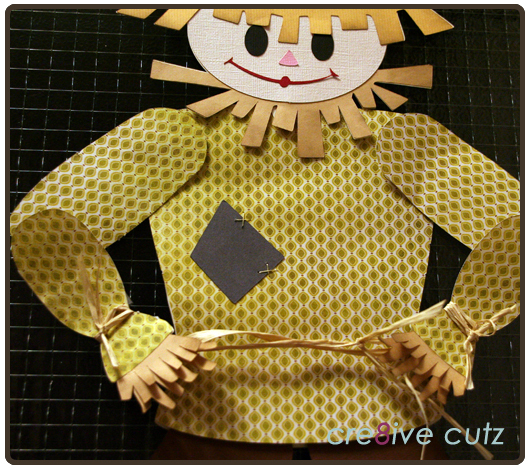 (To cut the Dancing Scarecrow at full size, a 12x12 mat is required. 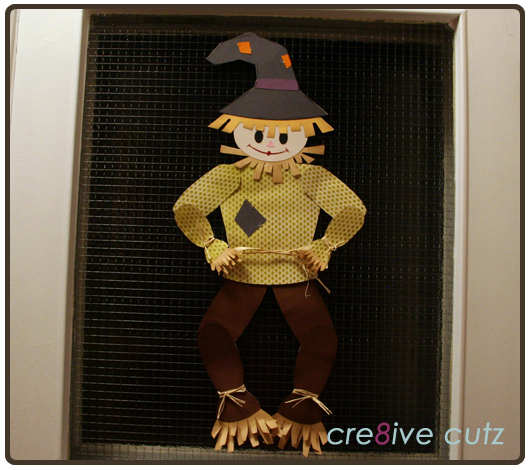 The finished scarecrow as sized in the files is approximately 26" tall. 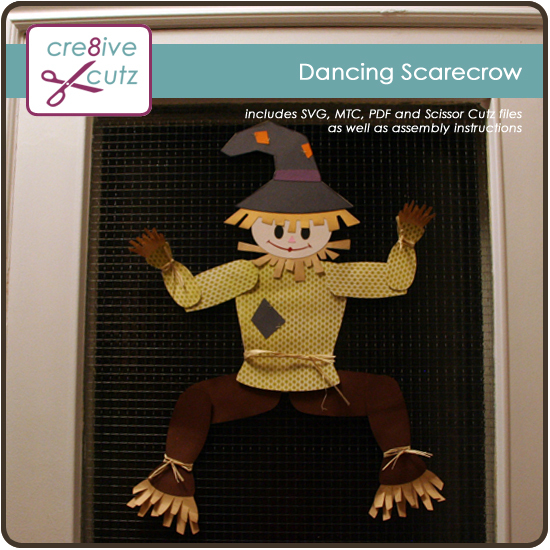 Click here or on any of the photos below to purchase the Dancing Scarecrow. 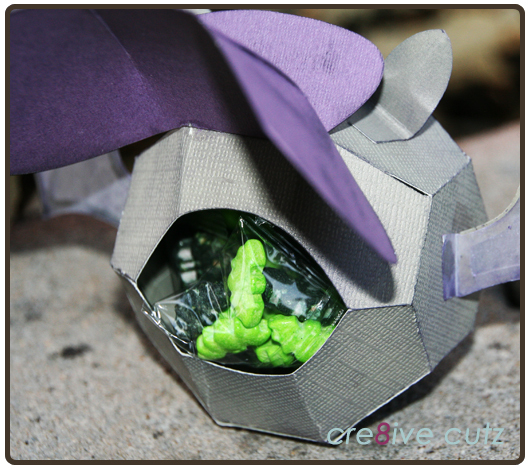 Take a bite out of Halloween with this Vampire Bat Candy box. 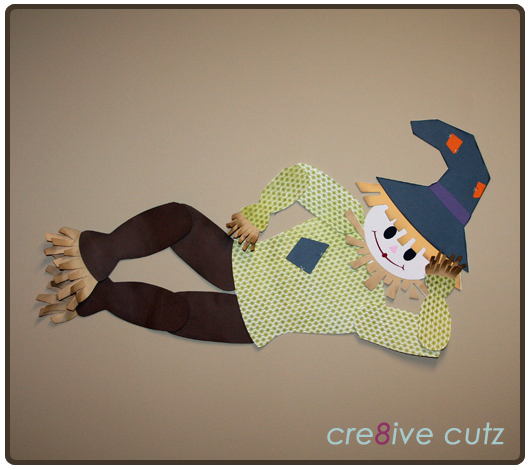 He makes a great decoration on your table, and his cape lifts up to reveal a hiding spot for treats or other treasures. 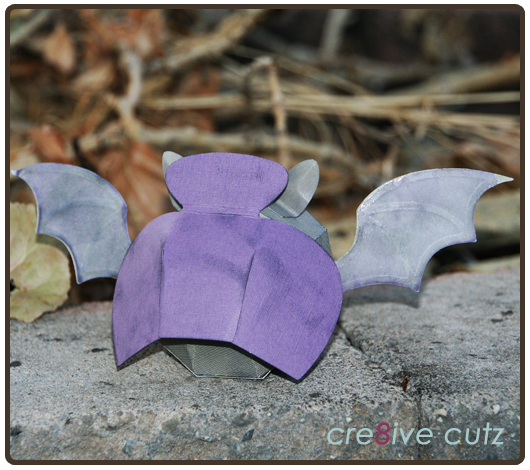 His wings can be cut from paper or vellum (as shown) to give them a translucent effect. The download includes SVG, MTC and PDF files as well as assembly instructions. The file cuts well on any size mat. 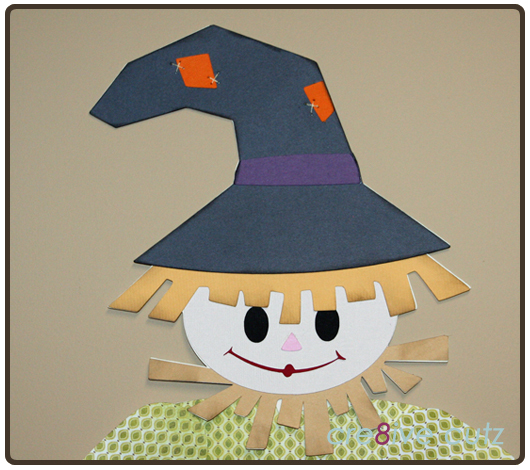 New: For people without electronic cutters, a scissor cutting file in pdf is also included that can be printed on the 8 1/2 x 11" paper of your choice and cut using scissors or a craft knife. 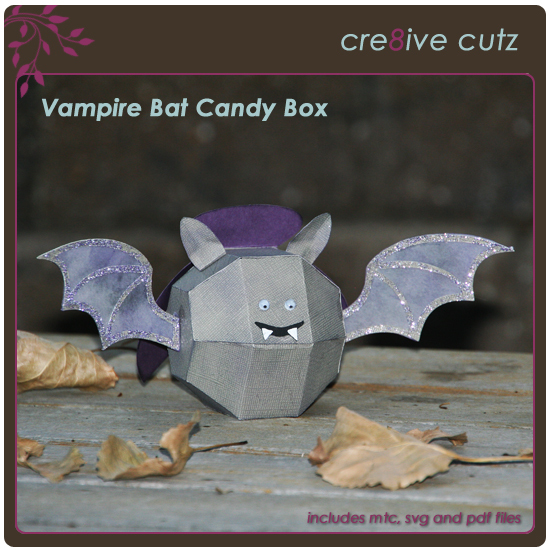 Click here or on any of the photos below to purchase the Vampire Bat Candy Box. The Vampire Bat is wearing a cape, just like all good vampires. The cape lifts up to reveal a hiding spot for treats and treasures.